Google has started to implement the revamped user interface to all their users. 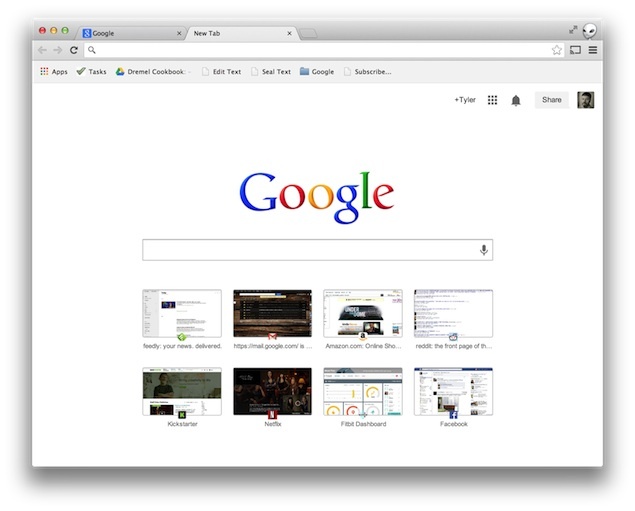 The new tab now shows the Google logo in the center which is followed by the eight most visited site on the bottom. "When you’re searching for information, speed matters. We’re always thinking about how to shave milliseconds from every search you do, throughout our products. Last year, we started testing a feature in Chrome to make searching from a new tab faster and simpler. If you use Chrome’s Developer or Beta installs, you may have already seen this in action. Many thanks for your feedback, which has helped us continue to hone the look and feel, and improve average time from query to answer — meaning you can find what you’re looking for even more quickly than before."